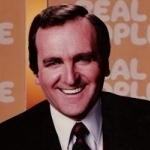 John Barbour "the godfather of reality TV" created, co-hosted, co-produced, and wrote 'Real People' - the first reality show, which was number one on NBC for three years during the early 1980's. Barbour moved to the United States in the early sixties. His comedy act, particularly his 1965 album, It's Tough to Be White, dealt in part with civil rights and black-white relations. Barbour hosted the pilot for The Gong Show in the mid '70s, and was a regular panelist on the 1988 Canadian (US syndicated) version of Liar's Club. Barbour portrayed game show host Harry Monte in a 1975 episode of Sanford and Son. He also directed and wrote the 1992 documentary The JFK Assassination: The Jim Garrison Tapes. This film covers the investigation of District Attorney Jim Garrison, who, after the 1963 assassination of John F. Kennedy, decided to further investigate the official report given by the Warren Commission. The documentary hypothesizes connections between the assassination and the FBI, the CIA, the Mafia, the Cuban Missile Crisis, the Vietnam War, and other organizations and foreign affairs issues. The film won an award in 1993 at the San Sebastian Film Festival in Spain. 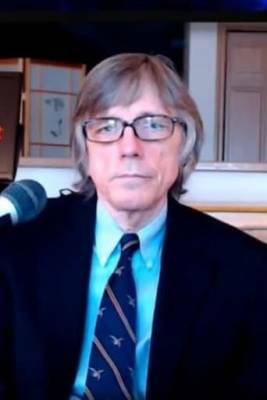 Peter Chowka is an author, journalist, media analyst and commentator on a wide range of issues including national politics, health care, media and popular culture. He has over four decades of experience reporting for a variety of publications and media. In 2017, Peter wrote over 150 articles for American Thinker and The Hagmann Report. During the past two years, Peter's articles have also been published at Real Clear Politics, Patrick Buchanan's Web site, Michael Savage dot com, Infowars, the Medline indexed peer review medical journal Alternative Therapies in Health and Medicine and The Townsend Letter for Doctors and Patients. On January 4, 2018, Peter was invited to appear on the British Broadcasting Corporation's daily international news program Trending on BBC Arabic to comment on the future of President Trump in light of Michael Wolff's new book Fire and Fury. Video of Peter on the program, in Arabic, can be watched here or on Facebook here. In 2018, Peter has become a regular guest making frequent appearances on talk show pioneer Barry Farber's nightly program on CRN Digital Talk Radio. A new playlist at YouTube with links to many of Peter's recent video Skype interviews on The Hagmann Report on a broad range of subjects can be accessed here. Peter Barry Chowka is a writer, journalist, medical-political analyst, editor, and photographer. Since the 1970s he has worked in a variety of media (periodicals, radio, television, documentary films, and online) to report on issues and personalities in the fields of national politics, medical policy, the media, popular culture, the environment, and innovative health options. Peter majored in English at Georgetown University in Washington, D.C. He got his start in journalism and media at WGTB, a leading non-commercial FM radio station in the nation’s capital that was affiliated with Georgetown. Peter served as news director, music director, and – for two years – station manager. With his fellow students, Peter helped to transform WGTB into the most popular alternative broadcast outlet in the nation’s capital. In 1972, Peter covered the first of four campaigns for the Presidency, including the primaries, the national political conventions, and the fall general election. He interviewed most of the candidates and as a credentialed journalist in the nation’s capital, Peter attended several Presidential press conferences and other events at the White House. He also volunteered for the insurgent anti-war nominee of the Democratic Party, Sen. George McGovern, producing radio commercials for the McGovern campaign aimed at young voters as he traveled around the country with the candidate. Peter’s photographs of the 1972 campaign, titled “The Choice of The Century,” were exhibited at galleries in Washington, D.C. and on Martha’s Vineyard. Peter also reported on the Presidential primaries in 1976, 1980, and 1992. In particular, he documented all three Presidential campaigns of Gov. Jerry Brown (D-CA), and interviewed Brown a number of times for publication. Jerry Brown cited one of Peter’s articles in a cover story profile of Brown written by Richard Reeves and published in Esquire in February 1978. Later in the 1970s, Peter collaborated closely with pioneering Beat Generation writers Allen Ginsberg, William S. Burroughs, and Pulitzer Prize winner Gary Snyder – exploring their work in a series of published long form interviews, articles, and radio broadcasts, and accompanying Ginsberg on guitar and vocals in a number of high profile public performances. Peter’s 25,000-word interview with Gary Snyder was published in three issues of East West Journal and subsequently served as a core of two of Snyder’s books, The Real Work (New Directions, 1980) and The Gary Snyder Reader (Counterpoint, 1999). Beginning in 1975, a particular focus of Peter’s journalistic work has been to document the history and evolution of innovative and alternative medicine with an extensive emphasis on the War on Cancer and alternative cancer therapies. His reporting took him to the leading innovative clinical centers around North America. Over the years Peter has interviewed scores of thought leaders in the field, including (more often than any other journalist) two-time Nobel Prize winning scientist, humanitarian, and nutritional therapy proponent Linus Pauling, Ph.D.
Peter broke a number of major stories on cover-ups and abuses of power in the Cancer Establishment and several of his articles were republished in the official hearing transcripts of United States Senate oversight committees. Peter’s numerous articles in a wide variety of print publications have explored the limitations of conventional medicine, a broad range of innovative treatment options, and the mainstreaming of alternative medicine. His photographs have been published by Time-Life Books and in The New York Times, The Washington Post, Rolling Stone, and many other publications. Peter has been quoted in news articles published in The New York Times, The Washington Post, Time magazine, and The Village Voice, among others and his work has been cited in numerous books. Peter has also written several articles for the the peer-reviewed scientific literature. 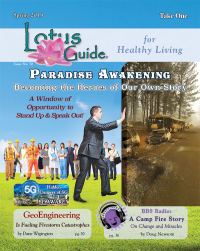 Over the years, Peter has emerged as one of the most prolific, probing, and respected reporters and commentators in the area of the politics of health care and alternative medicine. His body of work has helped to redefine the role that innovative and alternative therapies play in American life. Peter has appeared as an expert guest on hundreds of radio and TV talk shows all over North America, many of them at the national network level, including NBC-TV, PBS, the ABC TalkRadio Network, and CBC Television in Canada, and in major film and television documentaries. He has engaged in many broadcast debates with leading medical doctors on the subjects of cancer and AIDS. Along the way Peter has worked with Tom Snyder, Michael Reagan, Geraldo Rivera, Tom Leykis, and George Noory as well as a number of Canadian media luminaries including Pierre Berton, Hana Gartner, and Dr. Morton Shulman. He has also spoken at scores of health and medical conferences around the U.S. and Canada. Peter is the subject of a chapter in Prof. David J. Hess, Ph.D.’s 1999 book Evaluating Alternative Cancer Therapies: A Guide to the Science and Politics of an Emerging Medical Field, published by Rutgers University Press. In 1999, Peter wrote actress Jane Seymour’s on-camera narration for the award winning thirteen-part PBS series Healthy Living. Peter was a consultant to the U.S. Senate Select Committee on Nutrition, co-chaired by Sens. Bob Dole and George McGovern in the 1970s. From 1985-1990, he was an advisor to the U.S. Congress’s Office of Technology Assessment which was investigating a variety of alternative cancer therapies. In 1992 Peter was appointed to two of the first advisory panels of the National Institutes of Health’s (NIH) new Office of Alternative Medicine including one devoted to alternative medicine databases and electronic information dissemination – anticipating the imminent, widespread adoption of the Internet. His contributions are included in the NIH’s 1994 publication, Alternative Medicine: Expanding Medical Horizons. Peter is particularly well known for his investigative reporting into the Hoxsey Therapy. Starting in 1980, Peter’s articles and radio broadcasts about Hoxsey, a prominent example of herbal medicine, helped to establish it as a leading, credible alternative cancer therapy. Peter appears prominently on camera throughout the documentary feature film Hoxsey: How Healing Becomes a Crime, a.k.a. Hoxsey: Quacks Who Cure Cancer?, which was originally inspired by his articles. Peter’s efforts have been instrumental in helping to bring the promising Hoxsey herbal treatment to the attention of the public, mainstream medicine, and policy makers. Since 1992, Peter has been investigating the political push for “universal health care” which he sees as one of the most serious threats to Americans’ freedom since the time of the Founding Fathers. Recent proposals for single payer government-run medicine, in Peter’s view, pose an increase in the imminent threat level to Americans’ freedom of choice and to the future of alternative, natural health care. In 2007, the popular political Web site American Thinker began publishing Peter’s articles on medical policy, national politics, and the media. In the years since then, Peter has written a number of articles and blog items about a wide range of subjects for American Thinker. Peter broke several major political stories that went viral and were picked up by the mainstream media. An archive of Peter’s articles for American Thinker may be accessed here. In 2015, Peter established his latest Web site, thehealers.info, where he will present his articles, interviews, and other primary source material documenting the many healers he has reported on over the years, starting with Nicholas Gonzalez, M.D. (1947-2015). In 2016, a new book about Dr. Gonzalez, The Gonzalez Protocol, includes two chapters written by Peter. The July/August 2016 issue of the peer-reviewed Medline-indexed medical journal Alternative Therapies in Health and Medicine published Peter’s article “Reporting on Dr. Gonzalez for a Quarter Century: A Memoir.” The article can be read here. Peter’s most recent articles for American Thinker about the cable news wars, the history and future of the Fox News channel, and other topics in the news have received wide attention. This ongoing series can be accessed at Peter’s archived articles page at American Thinker. In August 2017, Peter established his Twitter account @pchowka. Peter's tweets have been retweeted by Fox News hosts Sean Hannity and Charles V. Payne, radio talk show host and New York Times best selling author Mark Levin, and President Donald J. Trump. A mid-2016 bio of Peter with photographs and links to primary sources can be accessed here. Thank you BBS Team, I searched all over looking for the best network to have my show. You guys are by far the best. No other station around has the kind and caring staff you do. Thank you for all you do, especially providing this platform that we can all reach out and connect with others. ~ Gordon Harris "Bridges with Gordon Harris"